What is Periodontal Therapy in Fayetteville, NC Like? When you brush your teeth at the end of the night, your mouth fills with blood from your sore, aching gums. That’s a clear sign of gum disease or even its advanced form: periodontal disease. If you have gum health issues, it’s critical to receive the dental care that you truly need to restore your optimal oral health. Learn more about how your dentist can help your smile with periodontal treatment in Fayetteville, NC in this week’s blog post. Why is it important to treat gum disease? Gum disease is one of the biggest threats to your smile. With that being said, you might be surprised to find out that majority of adult Americans have the disease themselves. There are many factors that can contribute to its presence in the mouth (like poor oral hygiene or genetics), but one thing is constant: you need professional treatment if you do have it. Failing to receive the necessary treatments can leave you with loose teeth, dental infections, and eventually teeth that will fall out. It can also be painful! Scaling—the deep cleaning of plaque and tartar from the smile using a special dental tool. This helps to remove bad materials from the mouth and keep your oral cavity clean. Root planning—the smoothing of the gum roots. This helps to promote stronger, healthier gum growth minus your previous infection. In the case that you have a severe case of periodontal disease, your dentist will be able to also provide prescribed antibiotics to supplement your maintenance therapy. The first thing you must do is contact your dentist to schedule an appointment. 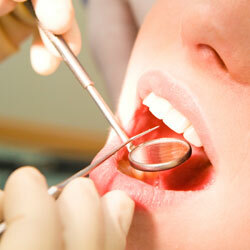 Your dentist in Fayetteville, NC needs to determine whether gum disease is the cause of your dental concerns. Simply visiting their office can jumpstart your journey to improving your oral health. Here at Ascot Aesthetic Implants & Dentistry, we know that a healthy smile requires that you have healthy gums. If your gum health is declining, restoring it will be your dentist’s priority! We will use our training, expertise, resources, and tools to help you develop a stronger, healthier foundation to keep your teeth for years to come. Call us now to schedule your next appointment! Comments Off on What is Periodontal Therapy in Fayetteville, NC Like?